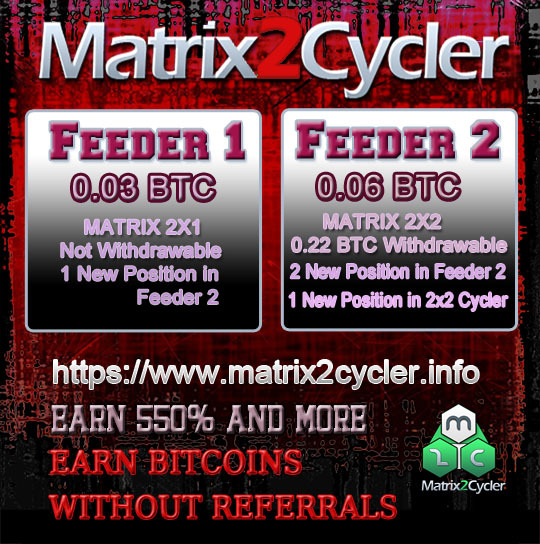 We had successful start of New Matrixes Feeder 1 and Feeder 2 yesterday. If you are not a member - it's not too late to join! 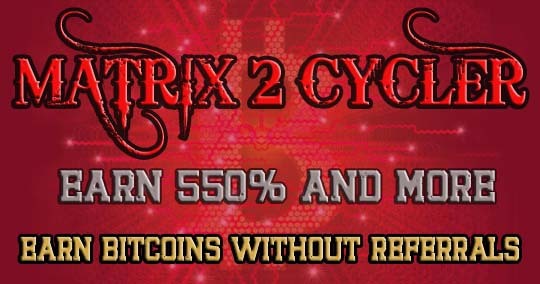 Matrix2Cycler is a huge system of matrixes that are connected to each other and every matrix is giving earning and new positions in other matrixes. 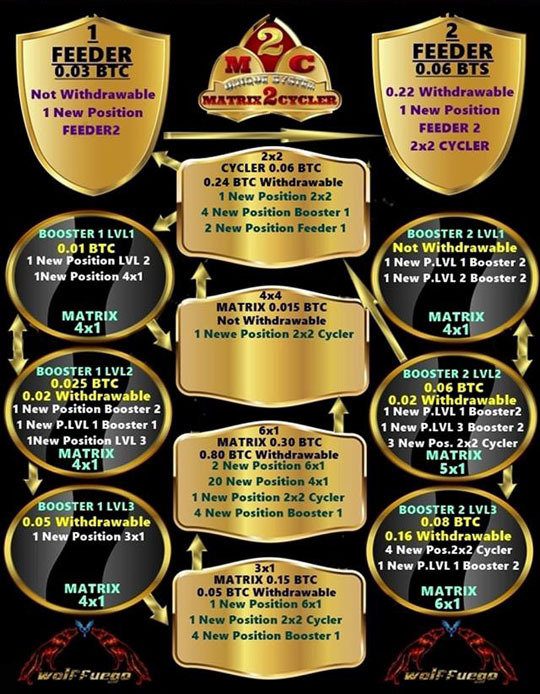 From the very beginning we talked about M2C SYSTEM not only one matrix. We are here to stay and to build a business for long term as you can see. Take advantage of all the opportunities that the system provides us.